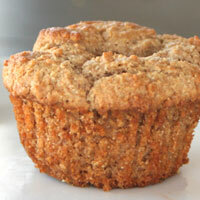 The peanut butter and wheat give this muffin a hearty taste, yet it is still moist and light in texture. Mix well and set aside. 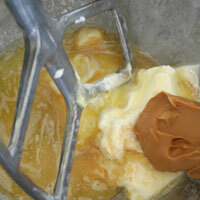 In the bowl of an electric mixer add the melted butter, sour cream, melted butter, peanut butter, egg, and vanilla. Mix with the paddle attachment until just blended. 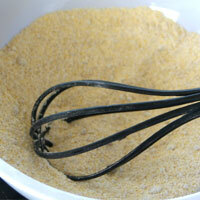 With the electric mixer on low, add the dry mixture and mix just until blended. 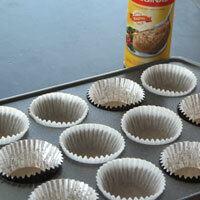 Using an (2)ice-cream-scoop, scoop batter into prepared muffin tin. 3. 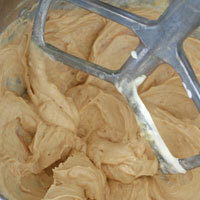 In the bowl of an electric mixer add sour cream, melted butter, peanut butter, egg, and vanilla. Mix with the paddle attachment until just blended. 4. 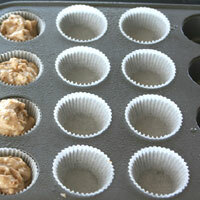 With the electric mixer on low, add the dry mixture. Mix until (1)just blended. 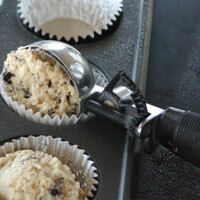 Using an (2)ice-cream-scoop, scoop batter into prepared muffin tin. 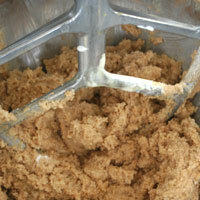 This is a thick batter and will mound slightly above the liner. 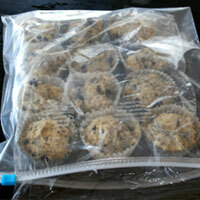 Bake 17-20 minutes or until they (3)spring back slightly when touched. Remove from oven and cool 5 minutes. 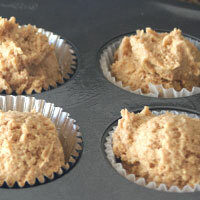 Remove to a cooling rack or serve hot.